On this fine 4th of July, I will be spending my evening working. But Epcot has some pretty spectacular 4th of July fireworks, so I am ok with it! 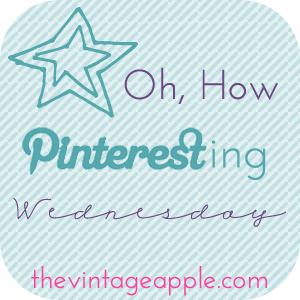 It's been ages since I've linked up with Michelle from The Vintage Apple for Oh, How Pinteresting Wednesday. I love all of these! I really love the pledge of allegiance plaque!